Hey friend, thanks for visiting! My name is Sam Adeyinka and I’m so glad you’re here because I want to put you on the path to success. I teach people what I know and make money from affiliations of products related to my information, ads/sponsors and selling how-to books on various topics. And bring to you the latest updates; ranging from lifestyle, fashion, fact, Inspiration and yes… Motivation! First, make sure you subscribe to this blog. 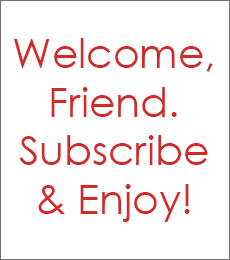 Learn about my blog’s subscription options here. I update this site almost every day so that’s the best way to stay up on my latest free tips and Motivational updates. This blog is mainly for my latest works and news tips from around the world. This is awesome bro! You always surprise me. Keep it up Sam!! Thanks Mr. Martin for commenting, I really appreciate! You are always welcome Miss. You have an awesome blog friend. Don’t mention Miss and I look forward to getting a guest post from you and writing one myself. Revert to me if you don’t mind. Thanks! me too and I can’t wait to have your post published on here. Have you ever clicked on my become a guest writer page? Alright thanks. So how are you today? Sam I wish you a great week! Thanks ma’am and I wish you same and even a greater one. Thumbs up! Much success!! !Thumbs up here too! Amen. You are one of a kind ma’am! How’s your day yonder? All is great and busy! Let me knwo if you did receive the article sent last night! Yes I did and I am now currently on it. Thanks! Oh my God! Miss Dana, Thanks so much for taking the time to surf my blog and even commenting. Thanks a lot. I really really appreciate. Thanks! Gud of u nd i like it. Thanks boss, I appreciate you for stopping by here. You have a nice blog here bro; I mean the design is awesome and your content are fabulous. I wish you much success on your blogging efforts! Profound gratitude Miss Linda for taken time out to visit my blog and for also dropping your two cent comment. It will never go unnoticed ma’am. Thanks so much! You are welcome Sam. Just stay focused and keep that passion burning. You have a bright future and don’t let anyone tell you otherwise. Alright ma’am. I will definitely will and I know I will make you proud! Very nice blog, sir. Thank you so much for following my WordPress blog: BigBodyBeautiful. I subscribed to yours, too and look forward to exploring more of it. Oh you are always welcome Ms. Lizzy and as a matter of fact, you have a fantastic blog and I enjoyed surfing through your contents. Glad you liked my blog and will look forward to out continued friendship. Thanks for taking the time out to visit here and dropping your two cent comment, I do appreciate Miss Rachael and hope you will enjoy reading through my pages and posts! Solid blog! Keep up the good work! Guaoooo! Awesome and great blog!!!! Thanks for your visit! I follow you! Thanks for the hype friend, I do appreciate. Speaking about my visit to your site, I think your blog is more fantastic and I love the look and fill on there… Thanks for the follow Ms. Maggie. And to add to it, your pictures are great! “Your Elbow” – Thanks Mr. Ralph, glad you came by. I hope you will share this site with your friend? Thanks for stopping by here Nuno! Looking sharp, Sam. It’s great to connect with you. I look forward to your posts. Warm wishes. I’m glad you took time to visit my blog, I do appreciate sir. Nice blog you have here Sam. How do i create my own blog? please advise. Great to meet you. Love your blog and your mission for helping others, we have that in common. I want to thank you for reblogging my post on Attaining Peace. There is so much hate, chaos and destruction in the world. I pray for healing and peace for all. Wow! That’s pretty cool and I feel life after all is about helping others. Yes you are right………….This side of the world – Nigeria is currently suffering from some of those many chaos…Like you ma’am, I’ve always prayed for peace and your article stand has a suiting balm. Thanks for sharing it with the your community…most specially with the world. SamuelKermis planning to be the new whiz of blogging! Subjugation of Hamunaptra – The Biggest Cinema Show Ever!